To Edoras - part 94. Estel, Olwe and Zabi make a change in direction. The guys travel south into the seaside navel town of Pelagir, arriving mid week into the festival of the sea. Conversation go long into the night with Gandalf and Aragorn, and a new course of action is set, much to Theos' dislike. We did it guys, 7000 Listens to the amazing adventures in Middle Earth. Here is another little recording of the antics that take place before a recording. The group takes the first opportunity to go over everything they have discovered and make decisions on what to keep and what to share. On returning back at Minas Tirith, they reunite with Freya of the Rohan and take a moment to recap what they have discovered before seeking an audience with the King of Gondor. The group make for the crossroads and back to Minas Tirth but the dwarfs have other plans. The Travellers spend a night recapping over past times and events. The journey south to the crossroads is filled with stories and tall tales. The Party depart from Camp Aragorn for Minas Tirith, but this time they wont be making the journey alone. We did it guys, 6000 Listens to the amazing adventures in Middle Earth. Here is a little recording of the antics that take place before a recording. The guys make the decision to return back to Camp Aragon. Theo, Estel and Duilintrast quickly search the private rooms of whoever is in command of Carchost. Theo, Dulintrast and Estel all ascend Carchost, in search of clues into who might be in command here. Estel and Duilintrast explore the murky depths of Carchost. The adventures are caught up in the battle of their lives. And Theos ring of power begins to bring him some misfortune. Debate begins over the ring given to Theo. So what exactly do all these items do? A Tabletop Short form The second book in the Middle Earth Role Play Story. Coming to Podcast in 2019. Across the Galaxy, beyond the stars, there comes a call, for a new kind of hero. 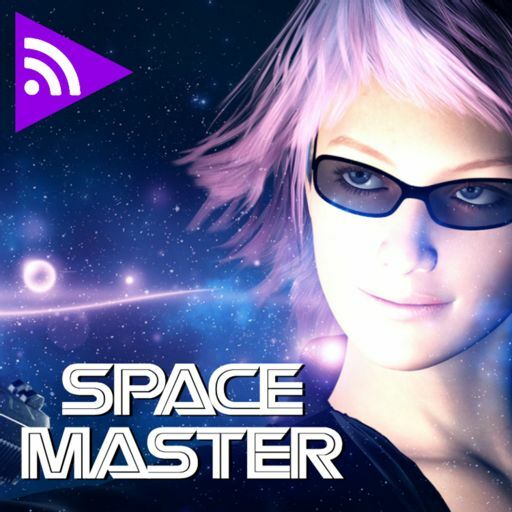 Welcome to SpaceMaster. The Guys Take in the surroundings of the study and plan their next move. The guys spend some time researching and identifying some of the artefacts and relics they have collected so far. The team take the opportunity to gather as many finds as they can gather before making planes to move on. The guys make it almost to the top of Narchost. Exploring the private chambers of the Nazguls lair. The group run into two very peculiar creatures that gain their interest. The group invades the private quarters of a commander of the tower, in search of clues and a messy battle brakes out. The guys search for clues to the real reason why they have been sent on this quest. Estel makes it into the treasure vault, but faces a decision in what to take out. The gang run into some obstructions while trying to break into a very secure vault. After the fight the adventures makes for the treasure vault in the basement. The group get into a close scrape with a few Uruk Hai and battle doesn't go quite as planned. (Headphone Warning). The adventures begin exploring the first few levels of the Teeth of Mordor. The quest to recover lost relics and knowledge begins. The party teams up with a new guide that prepares them for Carchost and Narchost. The adventures get to know more about their new companion and their past history with Olwe. The guys recover from a dark and stormy night and make for Camp Aragorn, an unexpected surprise awaits them upon arrival. The Adventures have a moment to chat about their worries and they get comfortable in their new home. Estel gives Duilintrast a hand with drying his clothes. The adventures buckle down for a stormy night. The group make camp and as a storm moves in, lengthy discussions carry on late into the night. We are Leaving - Part 024. Exploration doesn't go as planned and Theo comes out worse off. Wolves in the Dark - part 023. Exploration continues but some cauldrons with strange collars gets the adventures thinking. The Adventures decide to explore a little before entering Mordor. An uneasy nights rest at the cross roads. Duilintrast tries to catch up with the others but gets a little sidetracked. The Adventures minus Duilintrast arrive at Osgiliath. The Groups sets out for the crossroads, leaving Dulintrast behind. The adventures find out what Aragorn has done with the place. The guys show Aragorn around the portal house. Theo and Estel take the orb for a professional examination. Estel and Theo go in search for some herbs. The group explore Minas Tirith while the Kings artisans carry out their work. The guys seek and audience with the king to gain some aid. Duilintrast investigates the torn up message. Furniture construction takes place in the new home. Theo makes use of Estels Guest room to store all the supplies. Theo begins collecting supplies for the adventure ahead. The group get a taste of what life in the city is really like. The groups takes some time to relax and make plans. The adventures retire to an evening of drink and discussion. The Adventures carry out some experiments. A personal audience with the King of Gondor leads to an unusual request. One year on after the events from Book 1. This is not over - part 109. Estel confronts the black priestess and Theo confronts the Grey Wood. Back Home - part 108. Estel discovers guests have arrived before her. Digging Deep - part 107. Duilintrast recites a lost prophecy. Zabi returns to Estel and Olwe. Objects of the past - part 105. Theo investigates whats left of Calost. Cult of the Ox - part 104. Zabi sets out to help a small hobbit village. Left in the city - part 102. Duilintrast spends time exploring Woldvue. Feeling Low - part 101. Zabi considers giving up a live of adventure. Too close - part 100. Duilintrast locates the fallen star. Lady in Waiting - part 99. Estel has a lot on her plate. Queen for a day - part 98. Estel gets an unwanted rise in status. Helms Deep - part 97. Estel arrives at Helms Deep with a request. Duilintrast ventures into the Wold. Falling Star - part 95. Theo weighs up the costs of heading to Calost. Poker night - part 93. Duilintrast crashes a gambling den. Take the Hint - Part 92. Estel has a romantic encounter that doesn't go so well. Welcome to the Golden Eel Inn. Estel arrives in sleepy Mistwood Village. Olwe and Zabi enjoy home comforts, much to the annoyance of Estel. Theo’s new assistant doesn’t get along with Dúlintrast. The City on the Edge of Forever - part 87. Time to go - part 86. Evacuation plans - part 85. The adventurers leave Ilanin with a caravan of refugees. The Morning After - part 84. With Theo out of action, Estel is left in charge. Turn of the Tide - part 83. Reinforcements arrive with an old friend. Attack on two fronts - part 82. Things go from bad to worse for our adventurers. Outnumbered and out gunned - part 81. The Rohan army is overwhelmed by attacking forces. Injury and Destruction - part 80. Theo’s assault on the enemy doesn’t go as planned. Leading the charge - part 79. Theo’s tactics seem to pay off. The face of the enemy - part 78. Estel and Dúlintrast find the commander non-to worst for wear. Eve of the war - part 77. War breaks out in Northern Rohan and the adventurers take command. Man the barricades - part 76. Preparations are made for a final siege. A town called Ilanin - part 75. Theo becomes Commander in Chief of a town in exodus. Crossing the Limligth- part 74. The river Limligth leads to a wet reception. The adventurers discover the start of an orc invasion into Rohan. Late arrival - part 72. The adventurers come across signs of attack and destruction. A caravan to no where - part 71. The adventurers spend some time planning their next move. Into Rohan - part 70. The adventurers leave Lorien in a hurry and head south into the lands of Rohan. Trouble ahead - part 69. The adventurers receive some interesting news and must depart from Lorien in a hurry. The Smiths again - part 68. 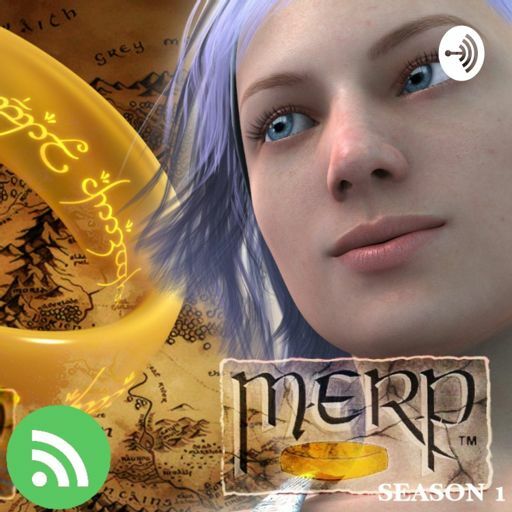 The adventurers explore more of the famous crafting smiths of Lorien, while Estelfae begins to uncover some personal truths. The Smiths - part 67. The adventurers are invited to explore the famous crafting smiths of Lorien, while Estelfae begins digging into the past. Welcome to Dinner - part 66. The adventurers are entertained at a very elaborate dinner with Galadrial. Lessons in History - part 65. Our adventurers travel into the Elven Smiths, while Estel checks up on some historical records that date back thousands of years. The Secret - part 64. Will Estelfae finally learn of the secret. The Queen of the Forest - part 63. The adventurers travel into Lorien. A sign of winter - part 62. A frosty morning on the river back, brings about a series of questions. Camping on the river side, The adventurers take a moment to rest. The adventurers final arrive on the banks of the Anduin River. The Crystal Cave - part 59. Cutting their loses the group decide it safer to leave Dol Guldur. Kicked while down - part 58. The group have to face off against a group of orcs and all doesn't go so well. Lost and Trapped - part 57. Still adventuring around Dol Guldur, Estel finds herself trapped. Visions of Darkness - part 56. The adventurers come across some dark visions in Dol Guldur. Dwarfs and Flame - part 55. The adventurers explore more of Dol Guldur hoping for a quick way out. The elf called Nosterial finds the adventurers in Dol Guldur and aids them in finding a way out. Arrows and Strangers - part 53. Corridors of darkness - part 52. A Hobbit - part 51. The guys stumble across a lost hobbit. Seesaws and Scarecrows - part 50. Dol Guldur is proving to be a much harder place to explore than previously expected. Stay Together - part 49. The adventurers find out the hard way that going off on their own is not very wise. Traps, Traps, and more Traps- part 48. The adventurers find a way into Dol Guldur and a whole load of trouble. Run for your life - part 47. The adventurers escape the citadel, but not alone. Things heat up for our little group as they plan to escape this strange fortress. Escape is on the adventurers minds, but at what cost. Cliff side views - part 44. The adventurers come across a fortress belonging to an old enemy. The road South - part 43. The adventurers start heading south back into the forest. Old Strangers - part 42. The adventurers run into an old foe. Under Siege - part 41. Theo, Estel, Dúlintrast and Morwen arrive at a woodman's village after some conflict. Theo, Estel, Dulintrast and Morwen head south around the great forest. Public Speaking - part 39. Theo, Estel, Olwe and Morwen are brought before the High king of the wood elves. Waterfalls and Rapids - part 38. Estel, Olwe and Morwen set out in search for a missing Theo. Spider webs - part 37. Estel, Olwe, Theo and Morwen encounter creatures of the deep. Into the Dark - part 36. Theo, Estel, Olwe and Morwen explore the Elven tunnels. Theo, Estel, Olwe and Morwen set off into the unknown. Theo, Estel, Olwe and Morwen settle in for a night under the stars. Things heat up for Theo, Estel, Olwe amd Morwen when they receive some bad news. Theo, Estel, Olwe and Morwen reflect on the previous days events. Things heat up for Theo, Estel, Olwe and Morwen. Theo, Estel and Olwe try a stake out of the bards residence. Brake In - part 29. Theo, Estel and Olwe plan a break in. Theo, Estel and Olwe take some time to explore the town. Theo, Estel and Olwe run into a unexpected ranger with a long past. A power of song - part 26. Theo, Estel and Olwe run into a very unusual Bard. A list of suspects - part 25. Theo, Estel and Olwe begin interviewing the main suspects to the murder. Murder most horrid - part 24. Theo, Estel and Olwe learn of a murder in town and are set with the task to investigate. No Time to Lose - part 23. Estel, must make it to Michalbugh before its too late. Out of the Darkness - part 22. Estel, Theo and Olwe escape Goblin Gate but not without injury. Run for your life - part 21. Estel, Theo and Olwe race to escape Goblin Gate. Goblins, Goblins, Goblins - part 20. Estel, Theo and Olwe venture deeper into Goblin Gate. In the tunnel - part 19. Estel, Theo and Olwe venture through the dark tunnels of the Goblin Gate. Rock and a Hard Place - part 18. Estel, Theo and Olwe make for Goblin Gate. Into the Hills - part 17. Estel, Theo and Olwe set out for the Misty Mountains. Gifts all round - part 16. Estel and Theo receive special equipment from Elrond. Be prepared - part 15. Estel, Theo and Olwe are called to a very important meeting. Estel, Theo and Olwe begin training for their new mission. Plans are a foot - part 13. Late night and letters home - part 12. Theo and Estel explore Rivendell at night and Estel sends a letter home. Dinner is served - part 11. Estel and Theo attend a dinner hosted by Elrond. A night off - part 10. Estel and Theo continue to relax in Rivendell. The house of Elrond - part 9. Estel and Theo finally make it to Rivendell, along with several other guests. The Ruins - part 8. Estel and Theo go underground to discover a lost world of secrets. A Safe Place to stay - part 7. Theo and Estel spend some time exploring and run into a little trouble. No one home - part 6. Estel and Theo continue onto Rivendell and come across a deserted ruined Castle. Pastures new - part 5. Arwen races off leaving Estel and Theo to continue onto Rivendell alone. By slow waters - part 4. Theo and Estel take a ferry north along the Greyflood River. Theo and Estel meet up with Lady Arwen and plan to leave Tharbad by boat. Night on the Town - part 2. Estel faces a night of questions while Theo has a night on the town. Theo arrives in Tharbad and Estel tried to stop a fight in The Dusty Jug.